Which of the following is an example of a Unit Rate? A 10 pounds of apples cost $4. B Each marker costs $0.50. C Steve runs 3 miles in 20 minutes. D A half sub costs $2.50. Fill in the blanks below on how to calculate a Unit Rate. Find the unit rate for each Coco-Cola/7 Up pack. Show your work. Find the unit rate for each bottle of Big K Soft Drinks. Show your work. Find the unit rate for each Lean Cuisine Entree. Show your work. 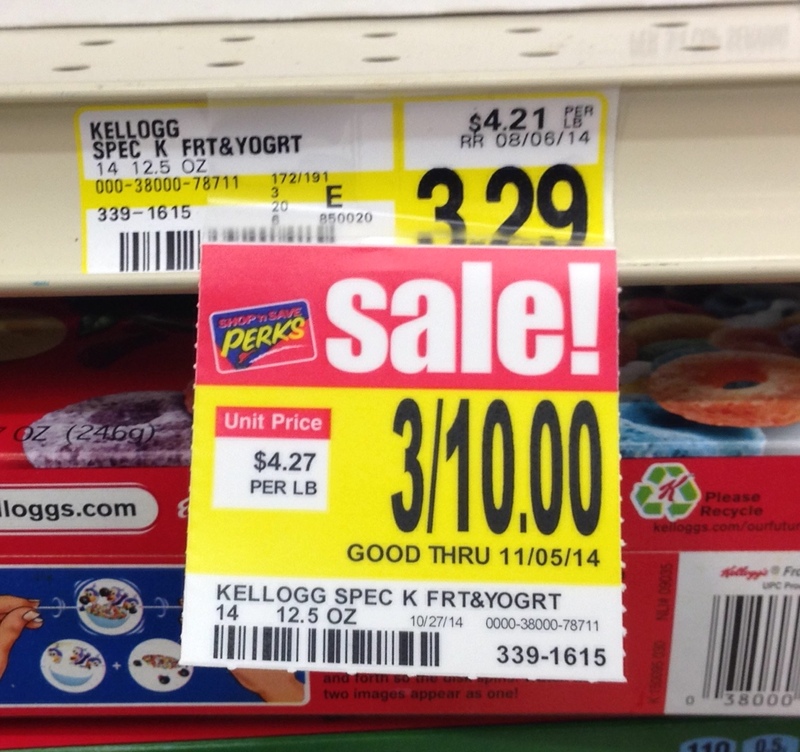 Is the cereal really on "sale"? Use the following image to answer questions 6-8..
Find the unit rate for the cereal when it is 3/$10. Show your work. What is the unit rate for the cereal when it is 3/$10? Why is the cereal NOT really on "sale." Based on the picture above, which statement is false? A "Everything on the Grill" charges $1.11/per chili dog. B "Dairy Queen" charges $1.10/chili dog. C "Everything on the Grill" is more expensive than "Dairy Queen" per chili dog. 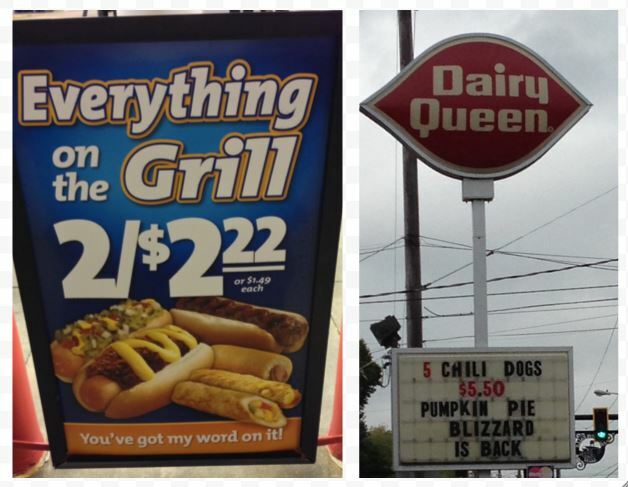 D "Dairy Queen" is more expensive than "Everything on the Grill" per chili dog. 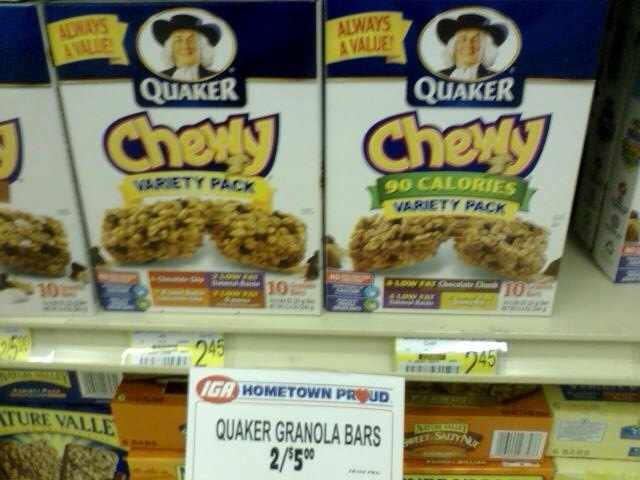 Based on the picture above, TRUE or FALSE, the Quaker Granola Bars are cheaper to buy two boxes at the regular price (yellow sticker) than on sale (white tag). You need 8 batteries, but you know it's worth it to shop around. Find the unit price for both the 6 pack of batteries (on the left) and the 8 pack of batteries (on the right). What would you do? 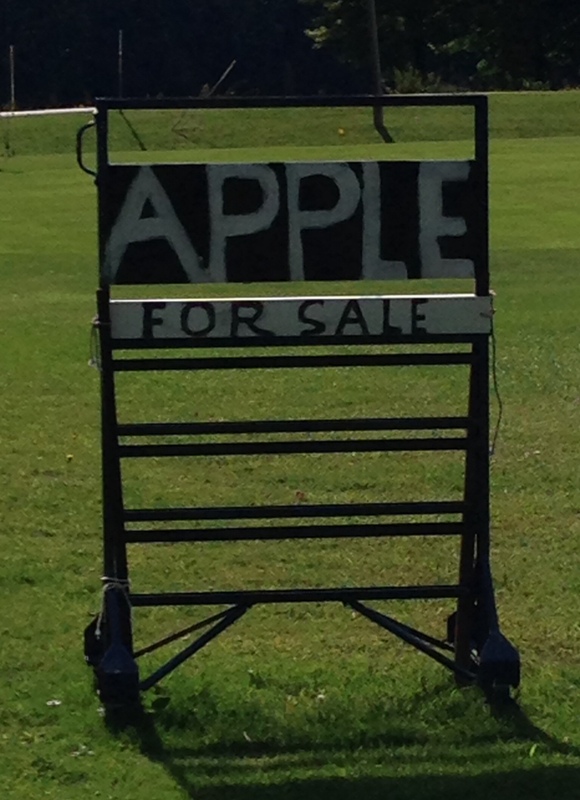 I guess if you wanted more than one apple, you'd have to go elsewhere!